Choose your product on this page. As we had too much problems with unscrupulous buyers from PayPal, we do not offer the PayPal payment gateway anymore. You can now pay with any credit card or with Bitcoin. 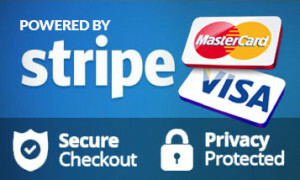 We use Stripe for the credit card payment gateway. SSL is used to transfer the data to Stripe. We do NOT store any of your credit card or online banking credentials.